Advanced Micro Devices had no plans to release low-power x86 server chips until the release of its ARM-based servers in 2014, but sagging server fortunes have changed the company’s direction. The server chips, code-named Kyoto, are a late addition to company’s product roadmap. AMD started talking about Kyoto only in the last few months, and it will be an alternative to the company’s homegrown ARM chips due next year. AMD’s last server chip update came in November with the Opteron 6300 chips for multisocket servers. 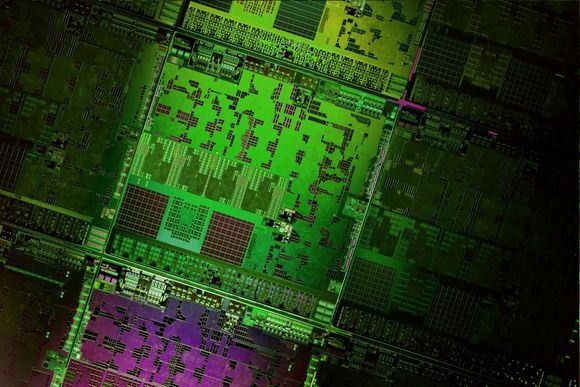 AMD said Kyoto chips are for low-power servers used in web hosting or cloud deployments. Kyoto will be in Hewlett-Packard’s Moonshot dense server, which can accommodate up to 45 Proliant cartridges in a 4.3U rack. Slow demand for AMD’s aging server processors has hurt the company, which has been losing x86 server processor market share to Intel. AMD’s market share was 4.7 percent during the first quarter of this year, down from 6.8 percent in the same quarter the previous year, according to numbers from Mercury Research. The server chip slowdown has also hurt AMD’s earnings, already taking a beating from the weakening PC market. “Bulldozer was without doubt an unmitigated failure. We know it,” Feldman said. “It cost the CEO his job, it cost most of the management team its job, it cost the vice president of engineering his job. You have a new team. We are crystal clear that that sort of failure is unacceptable,” Feldman said. “What is so important about the client side is it is driving data center, which is driving servers,” Feldman said, adding that AMD is adjusting its strategy as the server landscape changes. AMD hopes to fill the need for scalable servers through Kyoto, which is AMD’s first step in the low-power processor arena, Feldman said. HP’s first Moonshot systems run on Intel’s Atom S1200 chips code-named Centeron, but AMD claims its Kyoto chips outperform the Atom chips. Kyoto offers more cores, bandwidth, performance and larger DRAM support, and also packs an integrated graphics processor, Feldman said. However, later this year Intel will release an Atom server chip called Avoton, which is faster and more power-efficient than the current Centerton chips. “It’s relatively easy to come up with that part considering they come from the client space with server stuff bolted on,” McCarron said.